At western Japan's largest terminal in front of Osaka and Umeda station, you will find a variety of 270 shops, making up Japans largest shopping town. Lunch or cafe' time under the bright sun or a relaxing dinner time. With the endless options of bars and meals until four in the morning, you will enjoy the fun atmosphere and choices. 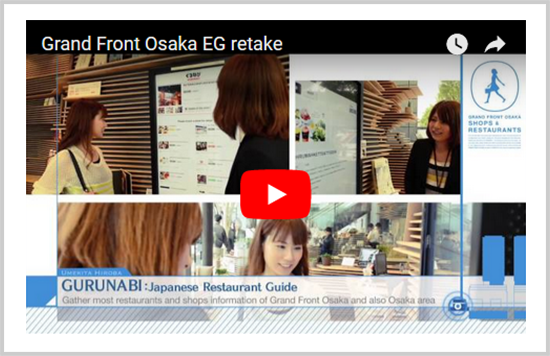 2019.02.07 Hankyu Hanshin Daiichi Hotel's PR video introduces GRAND FRONT OSAKA. 2019.01.23 Introducing GRAND FRONT OSAKA on japan-guide. Some products in the video are out of market. Take a stroll and enjoy shopping over 260 satisfying stores. 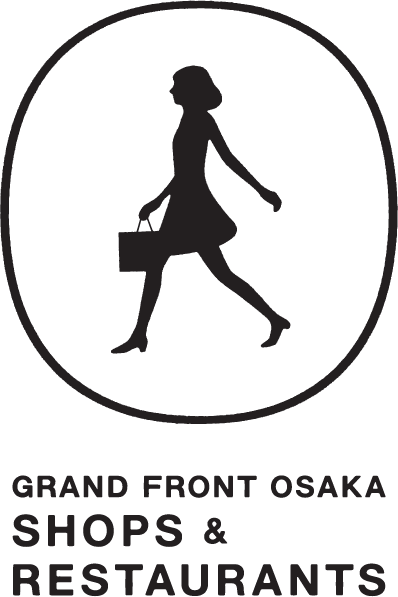 Located at the largest terminal in West Japan in front of Osaka/Umeda Station, Grand Front Osaka offers 266 diverse shops covering everything from fashion magazines, lifestyle goods, and beauty supplies to cafes, restaurants, and bars and is Japan's biggest domestic shopping town. 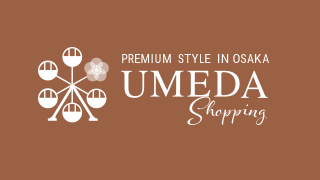 In this luscious, natural space find shops making their first Kansai appearance, restaurants making their Japan debut, and the West Japan flagship stores of various familiar brands. Discover something you'll love! Why not take a stroll and see what you find?